PHP Solutions Live was a bootable linux distribution based on Aurox Linux and targeted at web developers. It contains Apache, PHP 4, PHP 5, MySQL, phpMyAdmin and other applications. Rate this project The Point Linux project, a desktop distribution based on Debian's Stable branch, has announced the availability of Point Linux 3.2. The new release is available in MATE and Xfce editions and is based on Debian 8.5. 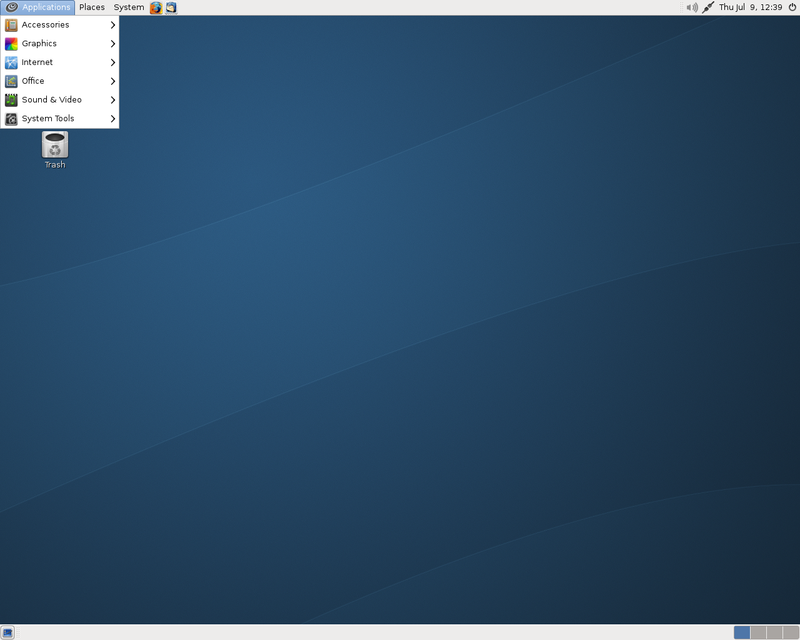 The two editions ship with MATE 1.8 and Xfce 4.10, respectively. Key features of the new version are listed in the release notes (MATE, Xfce): "We announce the availability of Point Linux 3.2. Despite that fact that this is a minor release, it has some notable changes and bug fixes: inability to install from custom-made Flash drives fixed; Firefox package replaced with Debian's firefox-esr; Thunderbird is not installed by default; Flash plugin removed due to security reasons; Plymouth theme changed to spinner; up-to-date Debian packages; do not show 'virtualbox kernel service is not running' banner; boot from local drive ability fixed in live CD boot menu;" Point Linux 3.2 is available in 32-bit and 64-bit builds. Download (MD5, pkglist): pointlinux-mate-full-3.2-64.iso (1,072MB, torrent), pointlinux-xfce-full-3.2-64.iso (995MB, torrent). Also available from OSDisc. Peter Ryzhenkov has announced the release of Point Linux 3.0, a Debian-based distribution for the desktop with a choice of MATE and Xfce desktop environments. GNOME 3, used during the development and beta testing period, has been dropped and replaced with Xfce. From the release notes: "The Point Linux team proudly announces the availability of Point Linux 3.0. This release replaces the GNOME 3 flavour with Xfce. Both flavours got the new Point Linux Update Notifier that will keep your system up-to-date. Point Linux Xfce also comes with the Compton window compositor installed by default, bringing some eye candy to your Xfce desktop. The full editions include the latest Firefox and Thunderbird releases. Changes: Point Linux Update Notifier; Xfce flavour replaces GNOME 3 Classic flavour; Xfce flavour comes with Compton installed by default; Firefox 39.0 and Thunderbird 38.0.1; multiple Point Linux infrastructural changes; up-to-date Debian packages." Download (pkglist) the live DVD images with your preferred desktop: pointlinux-mate-full-3.0-64.iso (1,122MB, MD5, torrent), pointlinux-xfce-full-3.0-64.iso (1,038MB, MD5, torrent). Peter Ryzhenkov has announced the availability of the third beta build of Point Linux 3.0, a Debian-based distribution with a choice of MATE or GNOME desktops: "Point Linux team proudly announces the availability of the Point Linux 3.0 beta 3. The key feature of this release is the new GNOME 3.14 edition that hopefully will make a perfect company to the existing MATE desktop. Just like in the previous MATE-only releases, Point Linux GNOME edition comes in two suites, 'Full' for the fully functional out-of-the-box desktop, and 'Core', containing only the basic and free components. Based on the recently introduced GNOME 'Classic' mode, Point Linux combines it with the custom tweaks and the brand-new dark panel theme aiming to bring the best possible experience for the GNOME 2 fans. Point Linux MATE 3.0 beta 3 got many under-the-hood bug fixes and infrastructural changes." For more information please consult the release notes for the MATE edition and the GNOME variant. Download (pkglist): pointlinux-mate-full-3.0b3-64.iso (1,118MB, MD5, torrent), pointlinux-gnome-full-3.0b3-64.iso (1,119MB, MD5, torrent). Peter Ryzhenkov has announced the release of Point Linux 2.3, an updated build of the project's desktop Linux distribution based on Debian GNU/Linux 7.4 and featuring the MATE 1.4 desktop environment: "These release notes for Point Linux 2.3 (taya) provide an overview of the release and document the known issues with Point Linux 2.3. What's new? Point Linux 2.3 brings the new 'debian-backports' package that allows you to easily enable updates from the debian-backports repository. Changes in distribution: Firefox 27.0.1, Thunderbird 24.3.0, LibreOffice 4.1.4; new debian-backports package; up-to-date Debian packages. Changes in Point Linux installer: three checkboxes to install Compiz, enable debian-backports updates and non-free repositories during installation; US keyboard layout is not installed by default for Latin keyboard layouts." See the release notes for a brief overview of the distribution's latest stable release. Here are the download (MD5) links to the DVD edition (with many popular applications) as well as the stripped-down "core" variant: pointlinux-mate-full-2.3-64.iso (930MB, torrent), pointlinux-mate-core-2.3-64.iso (651MB, torrent). Peter Ryzhenkov has announced that the first beta build of Point Linux 3.0, a Debian-based distribution featuring the MATE desktop, is ready for testing: "I announce the availability of the first beta release of Point Linux 3.0. The new version uses the latest Debian 'Jessie' packages along with the MATE 1.6 desktop environment. Just like the 2.x branch, Point Linux 3.0 aims to give users the classic GNOME 2 like look and feel combining it with the new Debian code base. Point Linux Installer 1.7 skips the 'en_US' layout installation for latin-based keyboards (e.g. French). Point Linux 3.0 Beta 1 comes in 'core' and 'full' editions supporting i386 (PAE) and amd64 architectures. Other changes: Firefox 26.0, Thunderbird 24.1.0, LibreOffice 4.1.3." See the brief release announcement and read the more detailed release notes for more information. Download: pointlinux-mate-full-3.0b1-64.iso (980MB, MD5, torrent), pointlinux-mate-core-3.0b1-64.iso (629MB, MD5, torrent). Peter Ryzhenkov has announced the release of Point Linux 2.2, a desktop Linux distribution based on Debian's "stable" branch and featuring the MATE desktop environment. This is a minor update to Point Linux 13.04.1 released in June. From the release notes: "This minor release brings some notable changes and prepares Point Linux for the next big release. Point Linux version numbering policy has been changed. The 13.04.X release is renumbered to 2.X. Changes in distribution: Firefox 24.0, Thunderbird 24.0, and LibreOffice 4.1; KVM/QEMU SPICE support; fast user switch enabled; up-to-date Debian packages. Changes in Point Linux installer: Vietnamese locale support; Windows 8.1 detection; NetworkManager connections (e.g. WiFi) established in the live CD/USB session transferred into newly installed system; screensaver lock enabled by default if system was installed without auto-login turned on." Download (MD5) links to the full DVD edition (with many popular applications) and the stripped-down "core" variant: pointlinux-mate-full-2.2-64.iso (972MB, torrent), pointlinux-mate-core-2.2-64.iso (683MB, torrent). Peter Ryzhenkov has announced the release of Point Linux 13.04.1, an updated version of the project's Debian-based distribution featuring the MATE 1.4 desktop: "Point Linux 13.04.1 is out. While Point Linux 13.04.1 is a minor bug-fix release and it generally has the same specifications as Point Linux 13.04, it also offers some improvements: LibreOffice 4.0.3; Firefox 21.0; stable Debian 'Wheezy' packages; Debian repository moved to cdn.debian.net; Point Linux repository moved to cdn.pointlinux.org; FTP CLI utility added; MATE 1.6 migration simplified; installer downloads and installs iBus and input method packages when CJK languages are detected; installer removes VirtualBox guest additions in target system when VirtualBox is not detected; installer creates /media/cdrom and /media/usb folders in target system...." See the release notes for more information. Download: pointlinux-mate-full-13.04.1-64.iso (946MB, MD5, torrent).